SURFACE aims to improve environmental management and quality of life in urban areas through promoting re-use. The proj ect will identify and establish re-use oriented services in the pilot regions and connect them in ‘Smart Re-use Parks’ that will be integrated into local waste prevention and waste management strategies. Concrete pilot activities will be carried out in Austria, Italy, Germany, Poland and Hungary. In Slovenia, Croatia and the Czech Republic feasibility studies and policy recommendations will be delivered. SURFACE involves partners with different starting positions and will support mutual learning, innovation and spreading of know-how to further regions. BIOHEC-LIFE aims to produce competively-priced advanced biofuels derived from used cooking oils. This technical progress wil l provide locally-produced biofuel to the French local authorities’ public transport fleets. The economic, social and environmental model of the production chain will be assessed in the city of Lille and Nord-Pas-de-Calais-Picardie region, and replicated in further French and European territories. The project is led by a social enterprise GECCO that is active in collection and recycling of used cooking oil. The ReWeee Project aims to prevent the creation of Waste Electrical and Electronic Equipment (WEEE). In order to achieve this objective, two WEEE sorting and re-use centers will operate for the first time in Greece, in the wider area of Athens and Thessaloniki. The core activity of those centers is the collection, the storage and the sorting of WEEE depending on their condition and then their preparation for reuse or treatment. The project promotes and supports the development of specific and professional skills of Youth in the Green Economy and Up-cycling sector, creating a strategic partnership between European organizations with specific expertise in the field of youth training, auto-entrepreneurship, design creativity and waste management. LAWPreT is a project which seeks to provide waste prevention training to local authority employees in Greece, Cyprus and Slovenia. Key Action are cooperation and innovation for Good Practices. The aim of the project is to transfer to and disseminate in Italy and possibly in other partner countries, an innovative training system designed in France for the development of a new job profile, the so-called “Waste valorisator” within the broad context of social economy. The Valorisator should be an expert in the waste prevention/management/recycling/reuse chain, able to select items/materials that can be recovered and reused, before becoming waste, and to start all the processes needed to revitalize and relocate them on the market. 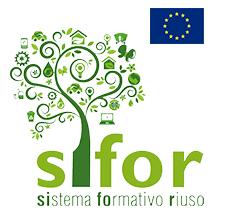 The project will develop a local waste market in Ferrara for second-life products with the direct engagement of the local community, in particular social cooperatives already active in this field, public bodies, local businesses and citizens. 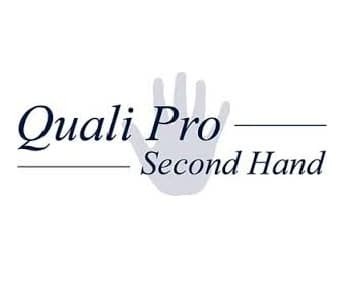 Two-part project aims to fully investigate the second hand sector with the support of vocational educational research instruments by way of detailed sector analysis, case studies and expert workshops. The main focus of the first stage was to analyse the specific requirements of people engaged in the sector. The second stage focused on the identification of parameters to promote the professionalisation of the sector, best practice solutions and the analysis of existing network and operating structures. What is quality management in the social economy? What is its importance? What is particular to quality management when applied in the social economy? The terms quality and quality management cover a broad range of domains. Is our product good? What is the effect of our production on the environment? Our employees, are they satisfied and motivated? Do we have a professional overall management? On the basis of these questions and convinced of the importance of quality management, RREUSE decided to make made an inventory of the quality systems in use with its members, why these are used and what the effects are. Recycle-SET project focused on facilitating adaptability, encouraging entrepreneurial approaches and enabling sustainability in recycling social enterprises through the development of three specific modular training programmes that focused on developing competencies for managers of social enterprises. The three training subjects were textiles, WEEE and social aspects.